The Indian state of Uttar Pradesh is in the grips of fears of a dengue fever epidemic as the number of new cases continues to grow in northern India. British holidaymakers travelling to the area have been urged to make sure their medical travel insurance covers the disease. More than 20 people have already been diagnosed with the mosquito-borne disease in Varanasi city, while reports of dengue fever contributing to the recent death of Bollywood filmmaker Yash Chopra and dengue-related deaths in Allahabad city have fanned the flames of an imminent outbreak. "Dengue is spreading everywhere," said health worker, Nageshwar Mishra. "I am seeing that everyday." Health officials claimed that October is worst month of the year for the spread of Dengue fever in India. 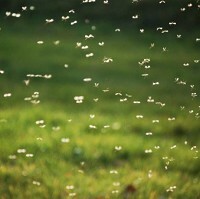 Dr Manoj Kumar Jaiswal said he wanted to see more done to restrict mosquitoes breeding. "We must try to curb the breeding of mosquitoes, which will result in less cases of dengue. We must also try to save ourselves from mosquito bites by wearing fully covered clothes. This will help to protect us from dengue mosquito."